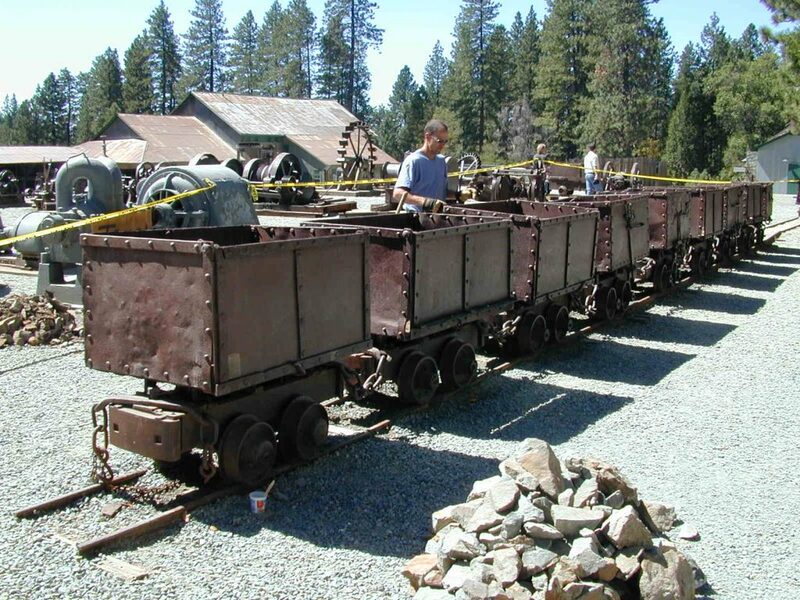 We performed condition assessments and treated 19th Century wrought and cast iron ore cars with their associated tracks, located at the Empire State Historic Park in Grass Valley, California. 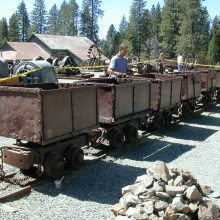 The nine cars on display, in addition to other mining equipment, act as an educational tool for visitors to the site. 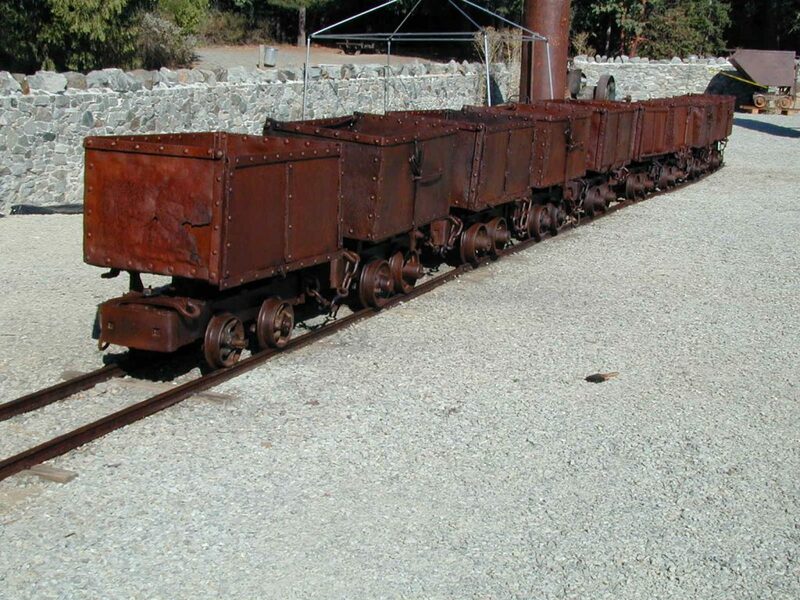 We examined the structural integrity of the nine ore cars and tracks, and it was recommended that all loose pieces be reattached in a sympathetic manner. 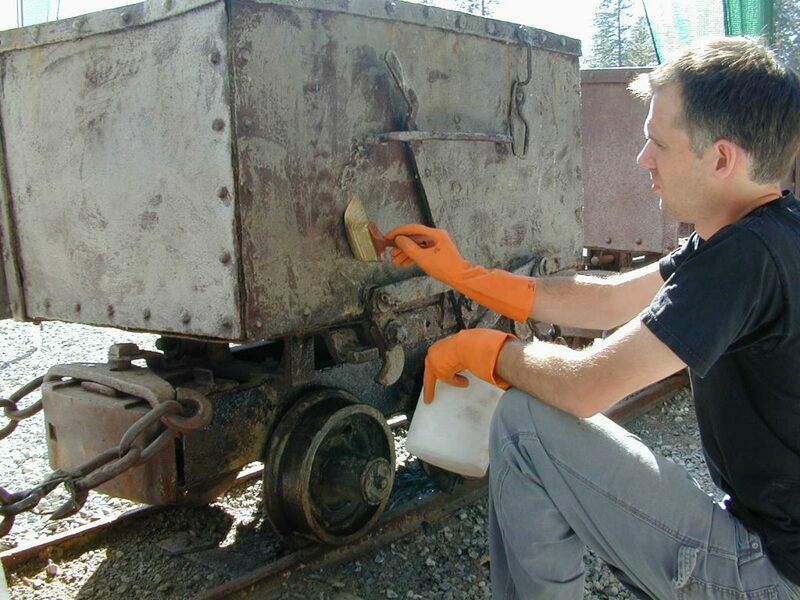 Debris was removed from the interior of the cars and tests were performed to determine the most effective way to remove the Incralac coating on both the cars and the tracks. 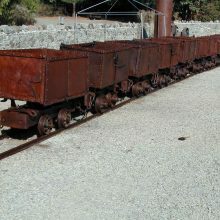 Once the methods and materials were approved by the client, the deteriorated coating was removed using a combination of a solvent-based paint stripper and steam. 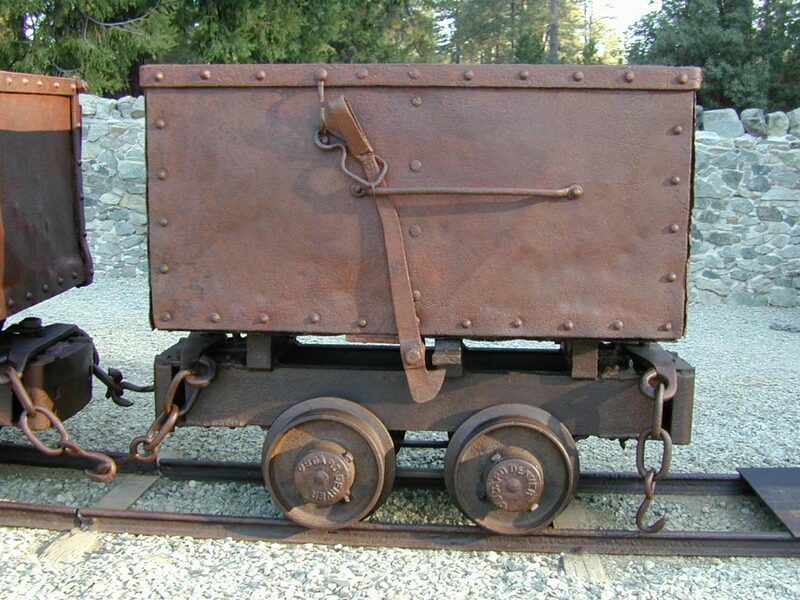 All loose components of the cars were reattached or secured using secure but reversible anchoring devices. 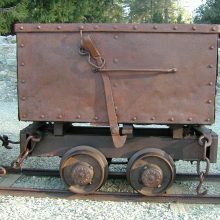 Loose corrosion products were removed from the metal surfaces using waterjets, all surfaces received an application of a proprietary corrosion converter, and all metal surfaces then received two coats of a wax protective barrier. 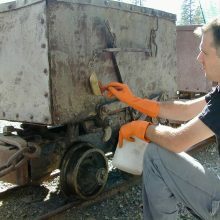 Following completion of work, a conservation treatment report, including procedures for the long term protection of the artifacts, was written and submitted to the client.